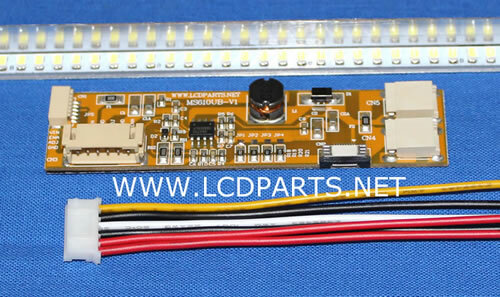 This super bright LED upgrade kit is designed for 8.4" NEC LCD screens. By simply swap it out, now you have sunlight readable LCD screen. 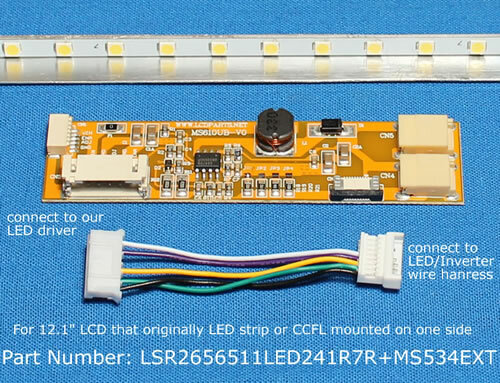 This LED upgrade kit comes with one LED strip that already mounted on L shape Aluminum Reflector, one LED driver and one 6 pin pigtails connector. It is easy to install! Anyone can do it! 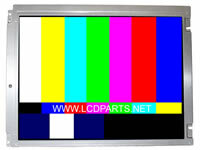 This super bright LED upgrade kit is designed for 10.4" NEC LCD screens. By simply swap it out, now you have sunlight readable LCD screen. 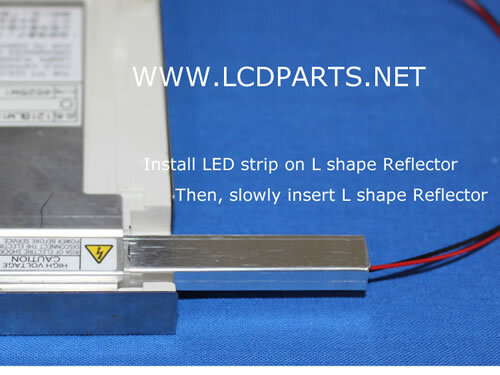 This LED upgrade kit comes with one LED strip that already mounted on L shape Aluminum Reflector, one LED driver and one 6 pin pigtails connector. Simply connect Red wire to +12V or +24V DC and black wire to Ground. That is it! It is easy to install! Anyone can do it! This super bright LED upgrade kit is designed for 10.4" NEC LCD screens that original equipped with its manufacturer's LED strip. By simply swap it out, now you have sunlight readable LCD screen. This Kit comes with one LED strip and one LED driver. A wire adapter is included. 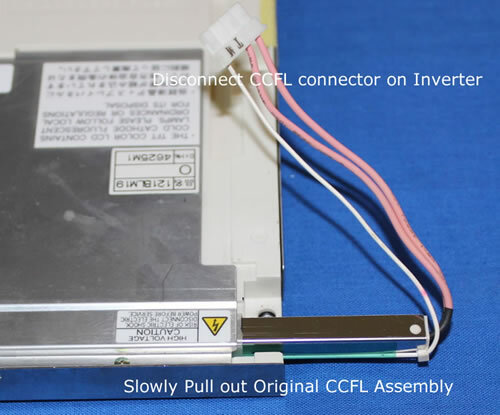 Just connect your existing LED wire( or Inverter wire) harness to our LED driver. It is easy to install! Anyone can do it! 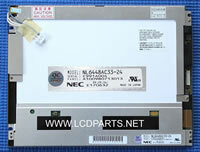 This super bright LED upgrade kit is designed for 12.1" NEC LCD screens. 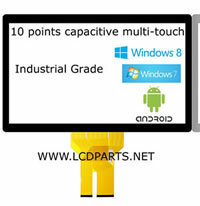 By simply swap it out, now you have sunlight readable LCD screen. This LED upgrade kit comes with one LED strip that already mounted on L shape Aluminum Reflector, one LED driver and one 6 pin pigtails connector. Simply connect Red wire to +12V or +24V DC and black wire to Ground. That is it! It is easy to install! Anyone can do it! This super bright LED upgrade kit is designed for 12.1" NEC LCD screens that original equipped with its manufacturer's LED strip. 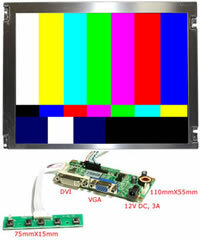 By simply swap it out, now you have sunlight readable LCD screen. This Kit comes with one LED strip and one LED driver. A wire adapter is included. Just connect your existing LED wire( or Inverter wire) harness to our LED driver. It is easy to install! Anyone can do it! Set LCD Screen face down, Remove screw on the back of LCD screen that hold's its original LED strip. 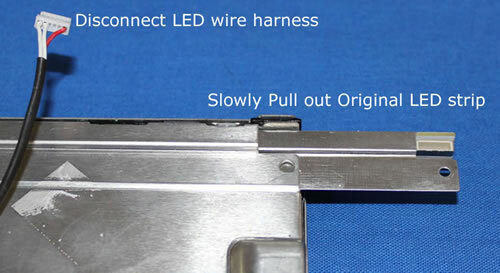 Be sure to double check LED connector side, SB LED kit’s wire must on the same side as its original LED strip connector. Then peel of double side tape on SB LED strip and stick to L shape Reflector. Set LCD Screen face down, disconnect CCFL connector on inverter. Push down plastic latch that hols CCFL reflector and slowly pull it out. Be sure to double check CCFL connector side, SB LED kit’s wire must on the same side as its original CCFL connector. Then peel of double side tape on SB LED strip and stick to L shape Reflector.